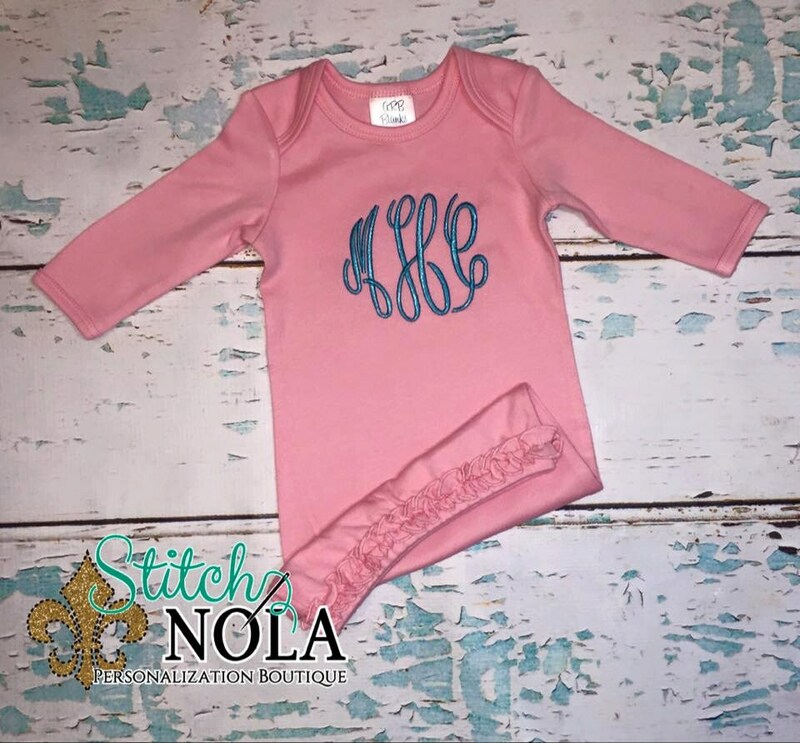 These super sweet infant gowns come in one size 0-3M and are available in 3 colors! 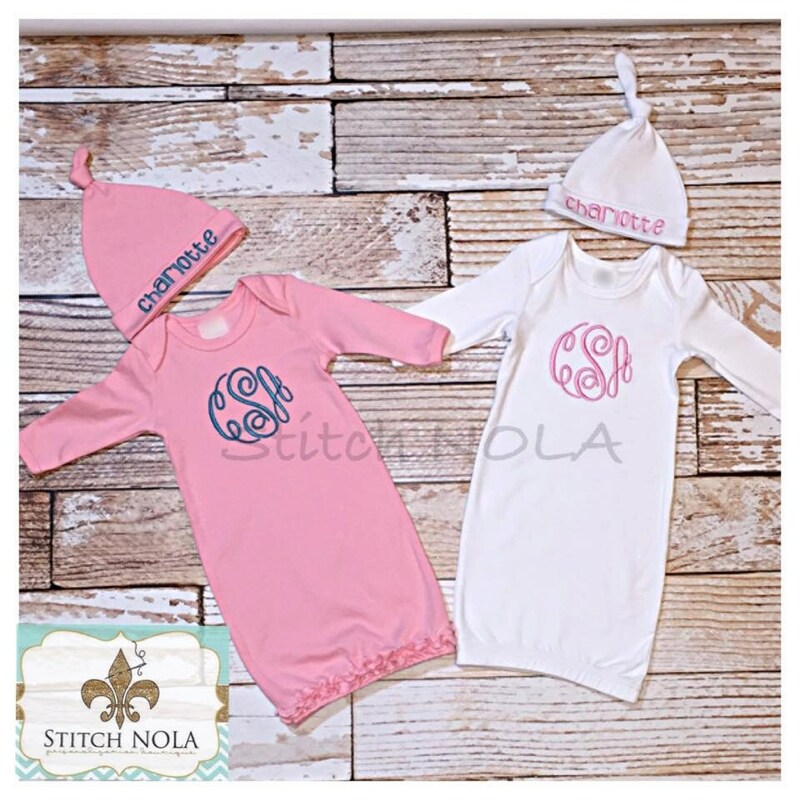 The white gowns are now available with and without a ruffle bottom! 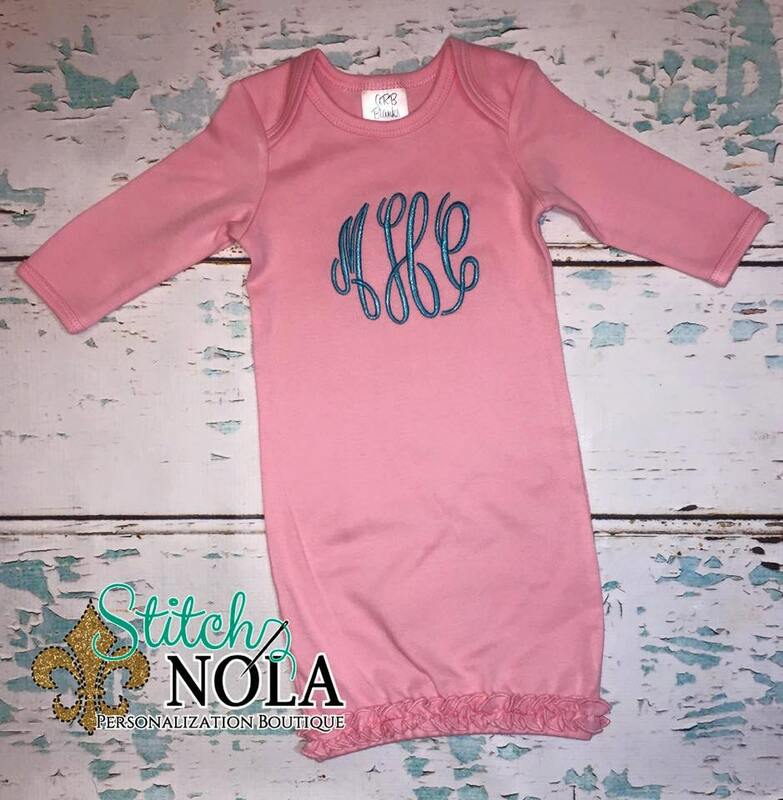 In notes to seller, please leave child's FULL NAME so initials can be arranged in the proper monogramming order! !